back when my metabolism was faster and the idea of gaining weight was so foreign to my body, i could eat 1.5 chipotle burritos. shocking. and i’m talking about the ones served on the UT drag circa 2002, before they forced portion control on us. i’m talking about the kind where the foil would just barely cover the burrito it was so big. nowadays, my metabolism is slower and i have a belly pooch that makes me debate on a weekly basis if i should just give up and buy a whole new wardrobe of jeans. consequently, i’ve switched over to eating burrito bowls and not eat the 290 calorie flour tortilla. but seriously, i have no idea what chipotle does to make their food taste so addicting. 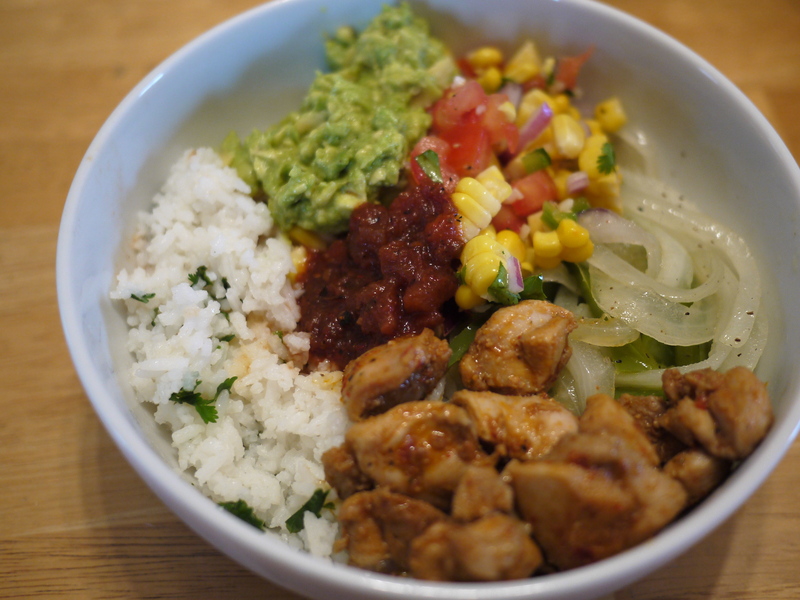 i will never ever turn down the opportunity to eat a chicken burrito bowl. i decided to recreate chipotle at home. let’s just say the meal was good, but it wasn’t chipotle-good. 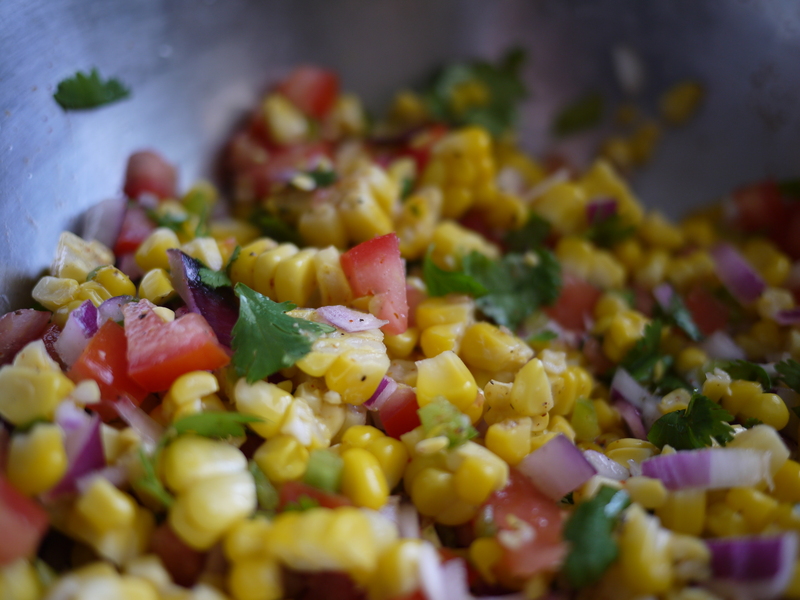 i adapted recipes from the chipotle fan website (there’s a website for everything) and other recipes i read online. Add all of the ingredients for the chicken (except the chicken, of course) into a blender or food processor until it turns into a paste. 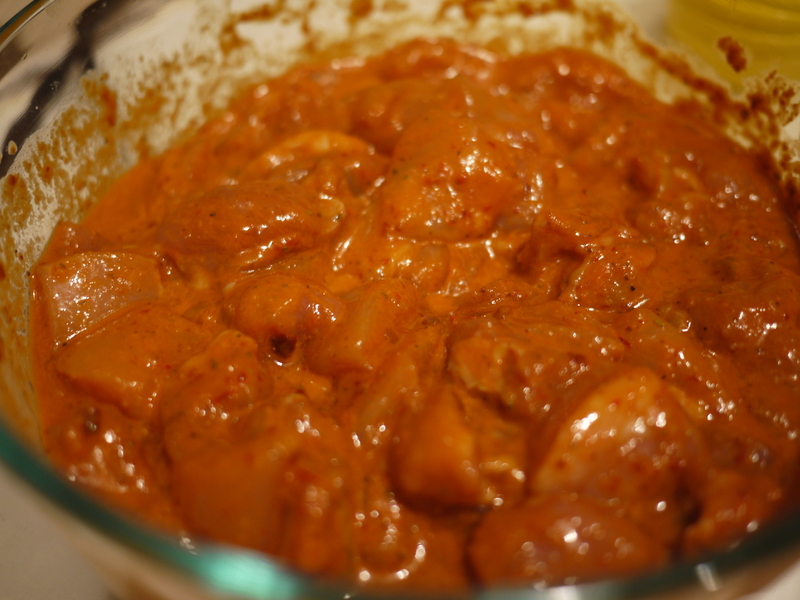 Marinate the chicken in the paste overnight or at least 6 hours. The best way to cook the chicken is to grill it. Since we don’t have a grill and I was too lazy to find my g. foreman, I just sauteed the chicken in a pan. In a saucepan, heat a sliver of butter over low heat, stirring until melted. 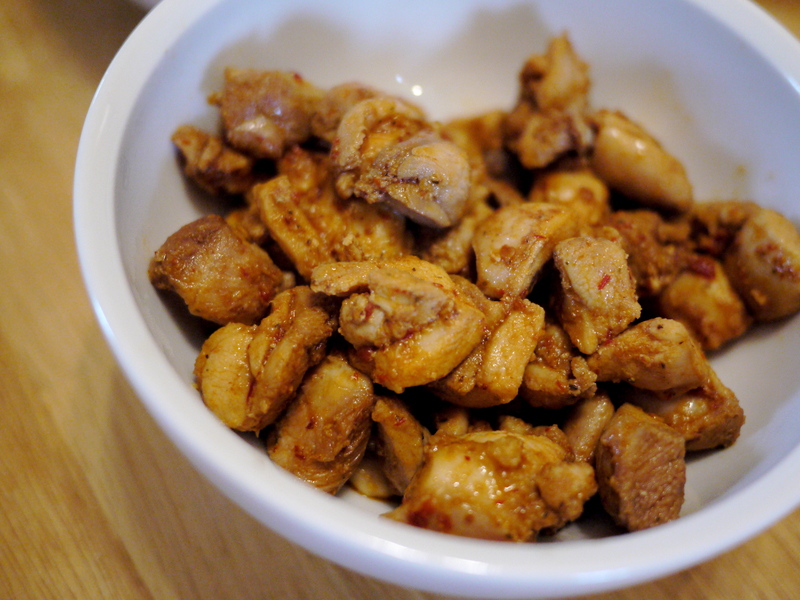 Add rice and lime juice, stir for 1 minute. Add water and salt, bring to a rolling boil. Once it is boiling, cover the saucepan and turn the heat to low until rice is cooked and the water is absorbed, about 25 minutes. Fluff rice with a fork and sprinkle in the cilantro.